Understand how to shape your medical function as a future model for your company, based on scientific authenticity and patient importance. Download our audio package to hear senior medical leaders give you insight on how it’s done. 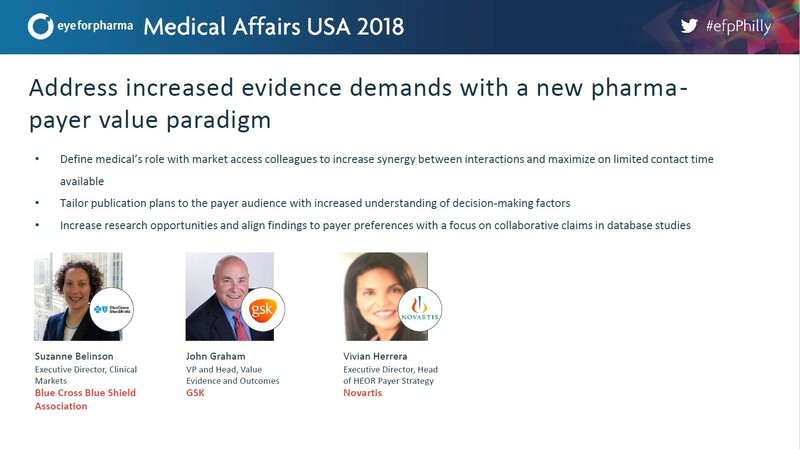 Address increased evidence demands with a new pharma-payer value paradigm, discussion with leaders from Ipsen, AstraZeneca, EMD Serono and Alnylam Pharmaceuticals. 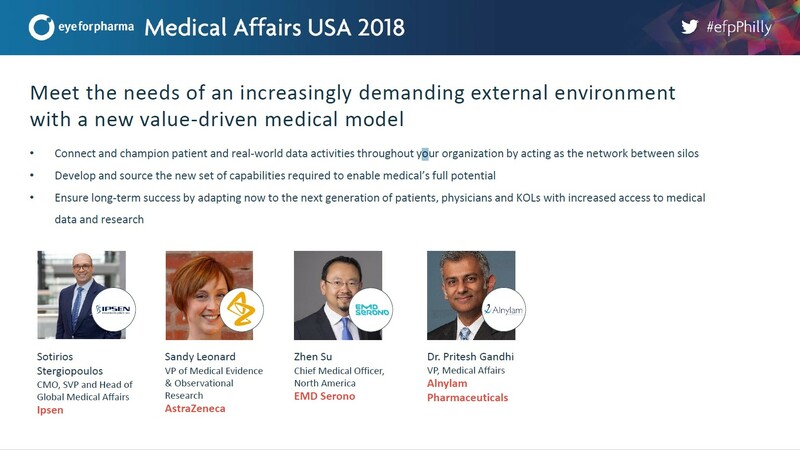 Define medical’s role with market access colleagues to increase synergy, with viewpoints from Blue Cross Blue Shield, GSK and Novartis. Adapt now to ensure long-term success with the next generation of patients, physicians and KOLs, with increased access to medical data and research. I hope you enjoyed this content. Please let me know if you have any feedback.